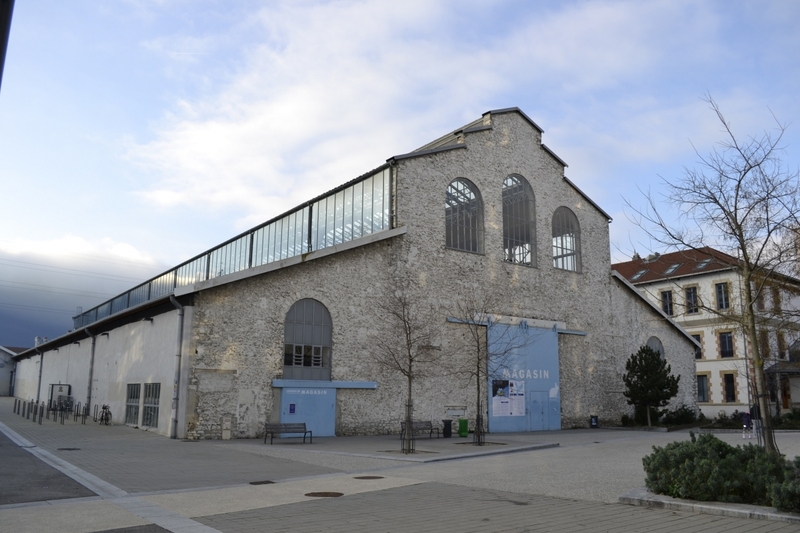 To describe the last years of Le Magasin, the Centre National d’Art Contemporain de Grenoble as agitated is a gentle euphemism. There was strike action leading to the dismissal of former director Yves Aupetitallot after a twenty-year reign, then the appointment of Béatrice Josse with a reputation for having a firm hand, and a name change that proclaims a new era: “Le Magasin des Horizons”... for better or worse? The long-awaited revival of an artistic programme worthy of the greatest hours of Le Magasin and the takeover of its curatorial school have been delayed in favour of this new project. But the latter has difficulty finding its definition amid homeopathic announcements from management. While we are already experiencing a raising of shields within the art world, Le Magasin’s PR department is allowing very little information to filter out. Nevertheless, the development of Béatrice Josse’s project, who was previously the director of the FRAC Lorraine and who arrived at the head of the CNAC in 2016, remains pertinent and reparatory. A kind of antidote through collective action intended to restore the art centre’s grandeur and above all, save it from the state of paralysis in which the previous administration had left it, collapsing under employee claims proceedings. In her first declarations, the new director wished to bring a new perspective and “pose the question of art in society . . . the emancipatory power of art”.1 Thus rebaptised, the Magasin des Horizons augurs a move away from the cliques and nihilistic schemes inherited from postmodernism. Promises of a broadening of the “field of possibilities” and of an alternative political line are thus advanced, through a more multidisciplinary programming that highlights “the invisible in art”. While these orientations signal renewal, they are woven with a consensual thread in places. Behind these announcement effects, the chain of events has proven somewhat urbane in form and content and not particularly innovative. Although we can give credence to the director’s statement that “we no longer fall within the contemporary art field of the 1980s”2, there has been a kind of revival of the utopia of the late 1960s in this programming, but with less radicality, while we are also witnessing a powerful return to the providential 1990s notion of interdisciplinarity. In November 2016, we discovered the first presentation by Béatrice Josse, Hausser le ton [Raise the Tone] with which the team opened the doors of the institution to the public for an interesting immersion. By revealing its storerooms and archives, relating anecdotes about the site, the exhibition presented itself as a manifesto for a new era without disowning the past. In reality , it waslaying the foundations of a tabula rasa programme. In December of the same year, Horizon (2016) replaced the Christmas exhibition and presented a pertinent panel of emerging creation, in line with Le Magasin’s desire to echo new voices. But for a year now, there has not been a single exhibition, artistic projects have deserted the space in favour of participatory workshops, conferences on the environment or well-being and gatherings of all kinds in which the subject of art has become estranged, with not many artists left on the horizon. Last October the event Un jour, le monde sera réparé [One Day, the World will be Repaired]: a weekend focused on action, with the work of Ibrahim Mahama and Gaëtan Rusquet, as well as a performative conference by Émilie Notéris. These two days of performances, which, all things considered, were rather conventional and pedestrian (reworking the political notion of “care” in an approximate manner), did not really spark an emancipatory momentum, or worse, maintained the kind of separation inherent to performance. Gaëtan Rusquet and two other performers were building a foam brick wall for hours, leaving spectators in their passive position as beholders, while pondering the excessive building impulses of “western man” and the “possibility of our federated bodies blocking collapse?” among the meditations proposed in recent times by the art centre’s press releases. In parallel, Labored Forms by Ghanaian artist Ibrahim Mahama, whose installations at the Venice Biennale in 2015 then the Documenta in 2017 earned him strong commercial success, invited the public to sew jute bags as an act of resistance and reparation of the wounds of globalisation. Since the prescription of the symbolic is, after all, the very essence of ceremony, it was hard to grasp the experimental character of the proposition. The actions were performed by each participant alone – hardly revolutionising individualistic habits and rather inoffensive with respect to capitalism. Even if some past events such as the Nuit des idées or the Sororales acted as “incubators” of stimulating ideas about harmonious community living and the revitalisation of feminist thought, nothing foretold that these brainstorming sessions would give rise to exhibition forms. So, should we be enthusiastic about the idea that the art centre, instead of making artistic propositions, is absorbing the forms of public debate and participative democracy; is this not, paradoxically, a way of anticipating their disappearance within social space, beyond the art centre? Just as paradoxical is the Le Magasin’s limited outlook, which only weaves connections with performing arts organisations, apparently giving up on any desire to integrate Grenoble’s or the region’s contemporary art network. To date, the other artistic organisms have had no contact with the new team, which nevertheless advocates decompartmentalisation, collegiality, and the sharing of skills, in a language well versed in the art of double talk. In the meantime, Béatrice Josse is refusing to express herself on Le Magasin’s lack of connection with other venues, a silence only justified by the fact that the “spaces cannot be used to show artworks”3, which explains the parentheses placed around the exhibition programme, but allows this clear isolation from the art world to remain shrouded in mystery, since Le Magasin’s off-site programme is also lying fallow. The breakaway has also struck the École du Magasin, a curatorial cursus installed within the centre since 1987 and whose prestige has eroded in recent years. It has also been replaced by a new element: the “Atelier des Horizons”, a multidisciplinary professional course combining arts and society, based on the exchange of knowledge (from plumber to dancer). The program is presented as a platform for collaborative analysis and training, open to all, notably featuring physical training, readings, film screenings, theoretical and practical exchanges... A kind of short course not resulting in any official qualification but that delivers a certificate at the end. On paper, it hesitates between utopia and the description of an elitist holiday camp, which we continue to hope does not amount to the same thing. Meanwhile, the former directors and students of the École du Magasin brought together by the association École du Magasin Alumni are alerting the press about the school’s archives, which the art centre is apparently in the midst of getting rid of, without any explanation forthcoming as to the point of such a sabotage of its heritage. The board of directors of Le Magasin refused all dialogue with the École du Magasin Alumni and has transferred the school’s archives to the Archives Départementales, which lacks the necessary skills to handle this kind of documentation, according to the alumni association, who would prefer them to be integrated within the Archives de la Critique d’Art in Rennes or the Bibliothèque Kandinsky in Paris. This affair again clouds the strategy of the new Magasin, whose renaissance, no sooner begun, has already fallen squarely back into controversy. It is well known that the director obtained from her partners a commitment for the restoration of the building, which she found in a state of advanced deterioration. In that case, could the socio-cultural programme highlighted by the Centre National d’Art Contemporary be a means of playing for time or putting the pressure on its financial backers? In the absence of any clear information on future policy, it is too early to decry the eradication of art, as some have already railed against in the artistic press and on social networks,4 but let’s keep a close watch on what’s to come in 2018. See Nicolas Bourriaud, “L’exposition, cette ringardise” report in Beaux-Arts Magazine, January 2018.